What is the densest packing of spheres? 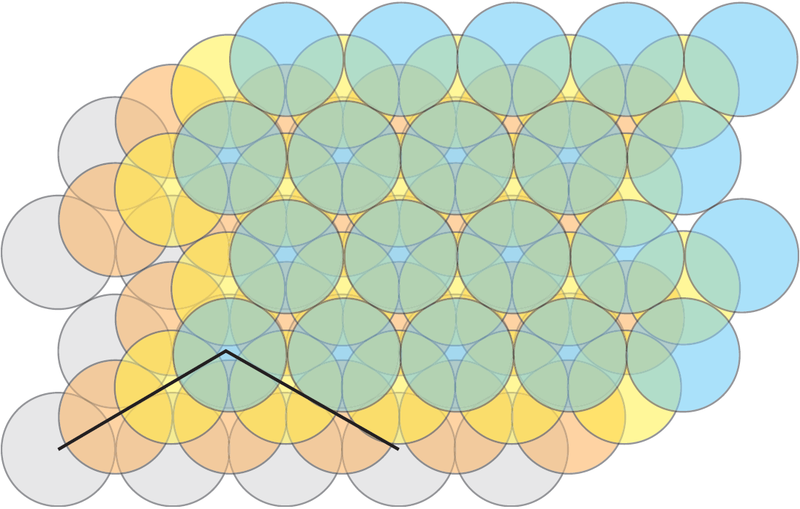 Kepler conjectured that it was the one you observe with oranges at the fruit shop, and which is called the face-centered cubic lattice (Figure 1). At the International Congress of Mathematicians in 1900, David Hilbert gave a very famous lecture in which he stated 23 problems that would have deep significance for the advance of mathematical science in the 20-th century. The problem of the densest packing of spheres, also called Kepler’s conjecture, is part of Hilbert’s 18-th problem. Kepler’s conjecture was only proved in 1998 by Thomas Hales, and the details of the proof were published in 2006. 1. How do we deal with such problems? We consider different configurations of equal spheres (solid balls) in space and, in each case, we calculate the density of the packing, i.e. the fraction of the total volume which is occupied by the spheres. We will call the maximum density of a sphere packing in dimension . Of course, this density depends of the shape of the region. To avoid this, we consider very large regions, so that the effect of the boundary be negligible. Kepler conjectured in 1611 that the densest configuration is the one you observe with oranges at the fruit market. So, why did it take so long to prove this conjecture? The problem is that there are an infinite number of possible configurations of the spheres. Each time we take a configuration, we can show that its density is less than or equal to the one observed at the fruit market. But the problem is that we can only describe a finite number of configurations. And, even with a single configuration, the computation of its density may be difficult or impossible if the configuration is not periodic. The problem of the densest packing of solid balls exists in all dimensions. It was solved in 1890 for -dimensional solid balls. Packing of balls in higher dimensions have applications in, for instance, error correcting codes. Already, in dimension we encounter the same two difficulties: we cannot enumerate all configurations and, moreover, some configurations may not be periodic. We will show how we deal with these difficulties, and that the packing of Figure 2(b) is the densest of all configurations. We will then explain the difficulties to generalize the proof to the -dimensional case, and we end up with a few words on higher dimensions. Figure 2: Two methods for filling a planar region with disks. Each time we consider a periodic packing, we can show that it is less dense than the packing of Figure 2 (b). But, how do we show that this is also the case for any packing? Here is a clever idea, which goes back to the Norwegian mathematician, Axel Thue, in 1890. We divide the plane in local regions and we show that, in all regions, the density is less that or equal to . Let us look at Figure 3. There we have three disks that could not be closer to each other. Now, let us look at the triangle with vertices at the centers of the disks. 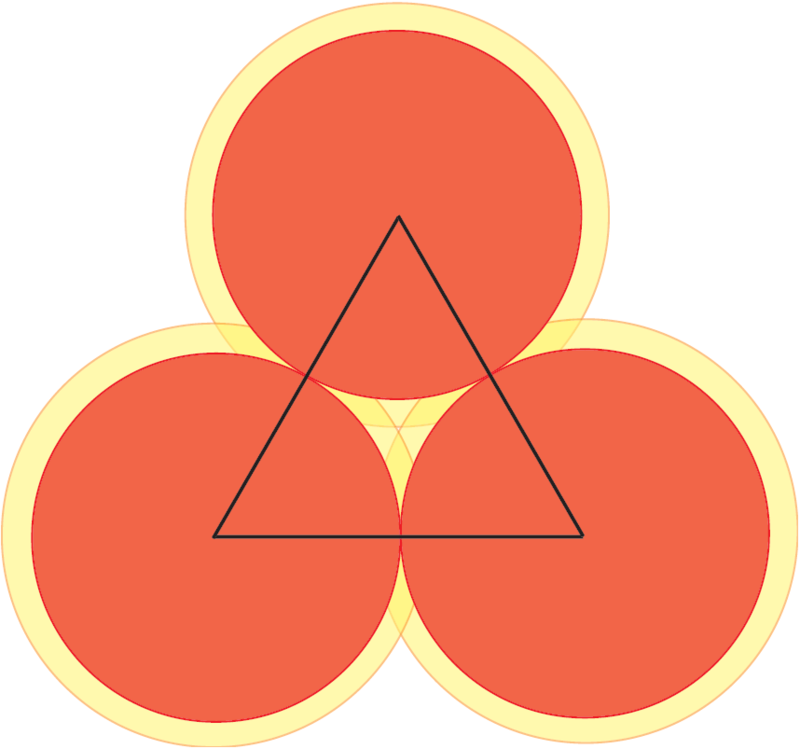 Inside this triangle, there is a small region not covered by the disks. If however we enlarge the disks by a factor , then the enlarged disks fill completely the triangle and this factor is the minimum attaining this goal. Figure 3: The small region between three tangent disks. Figure 4: The two kind of regions with nonzero density. It suffices to study the function on and to see that it attains its maximum at . Indeed, since . This proof is extremely elegant. Let us examine it in detail some of its features. The best density is . It is also the best density locally in each of the regions of the plane we have considered. There is another way to partition the plane into regions. It is the Voronoi diagram of the set of centers of the disks. Considering a set of points in the plane, the Voronoi diagram of is the partition of the plane into regions, one attached to each point of , such that the region attached to a given point is the set of points in the plane that are closer to than to any other point of . These regions are called Voronoi cells. Given that the mediatrix of a segment is the geometric locus of points that are equidistant to and , it is not surprising that the Voronoi diagram of a set of points looks like Figure 5, with a common side between a pair of adjacent Voronoi cells being given by a line segment of the mediatrix of the points of attached to the two cells. 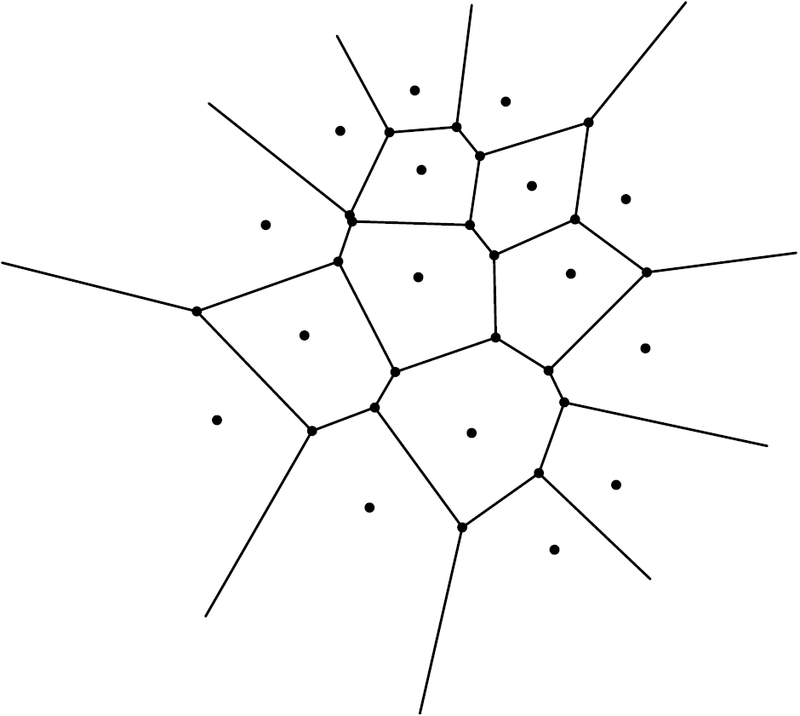 Figure 5: A Voronoi diagram attaching to each point of a set S its Voronoi cell. When we have a packing of disks in the plane, it is natural to look at the Voronoi diagram of the set of centers of the disks. Let us now come back to the two examples of Figure 2. On the left, the Voronoi cells are squares. On the right, they are hexagons, and the density of each disk inside its hexagonal Voronin cell is exactly equal to . Note that, if we surround a given disk with non overlapping disks of the same radius, the Voronoi cell with minimum area is the circumscribed hexagon. 3.1. The difficulty of the problem. It is natural to try to generalize this idea to the three-dimensional case. The Voronoi diagram can be defined as before. Its closed cells are convex polyhedra. Let us surround a sphere by tangent spheres. We can place spheres. But, in opposition to the planar case, there remains room around the first sphere. We can try to move around the tangent spheres, and see if we could place a -th one. It has been proved by Thomas Hales that this is not possible. But there are many non equivalent ways to place spheres tangent to a given one and they do not produce Voronoi cells of the same volume! The optimal configuration to minimize the volume of the Voronoi cell is that the spheres be tangent to the original sphere at the vertices of the inscribed dodecahedron (Figure 6 (a)). This was conjectured by Fejer Tóth in the 1940’s and finally proved by an undergraduate student, Sean McLaughlin, in 1999! Then the Voronoi cell of the given sphere is a circumscribed dodecahedron to the sphere. It is possible to calculate the density of the sphere inside its Voronoi cell. It is inferior to the density of the packing of oranges at the fruit market! So can we do better? Because it is impossible to fill the space with non overlapping dodecahedra: we necessarily have empty space between them. Hence we see that the three-dimensional case is much more difficult than the two-dimensional case, because the local optimal solution does not coincide with the global optimal solution. For the optimal solution whose geometry we will study in the next section, the centers of the spheres are placed at the points of the face-centered cubic lattice. The corresponding Voronoi cells are rhombic dodecahedra (see Figure 6 (b)). Figure 6: A dodecahedron and a rhombic dodecahedron. Rhombic dodecahedra can tessellate space in a regular way, and such tessellations have been observed in crystallography. The proof of the optimality of this packing has been achieved by Thomas Hales with the help of his graduate student Samuel Ferguson in 1998 (the complete proof was only published in 2006). The proof, a computer assisted proof, is a real tour-de-force. While we cannot mimic the proof of the two-dimensional case, the spirit remains the same: the proof consists in decomposing the space in regions of a finite number of types and to compute the density in each type of region. The (huge) program is available on the web for those who would like to study or check it. 3.2. The geometry of the optimal packing. Figure 7: The centers of spheres for the face-centered cubic lattice. How is this packing achieved? The same as when we pile oranges: we put a first planar layer of spheres as in Figure 2 (b). On top we put a second layer with a shift in one direction, for instance in the upper right direction. 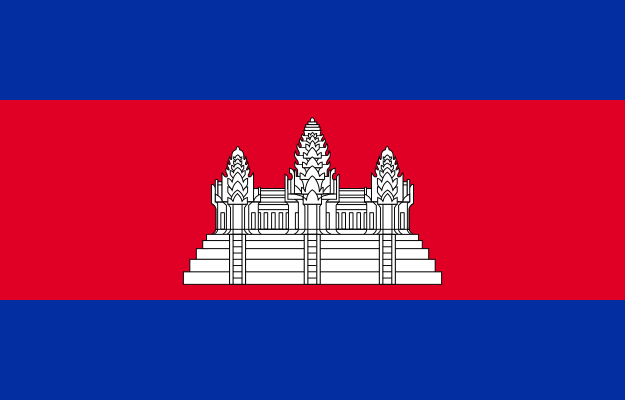 The third layer lies on top of the second layer with a shift in the same direction, etc. This brings one question. Could we change the direction of the shift between the different layers without changing the density? Yes, we can, but the corresponding lattice of centers will not be the cubic face-centered one. This means that the packing giving the highest density is not unique. It is not obvious that the usual packing of oranges corresponds to the cubic face-centered lattice. Indeed, looking at Figure 7 (b), we see that we should have orthogonal lines of aligned centers of spheres. It is a good exercise of visualization to figure that these lines indeed do exist in the usual packing of oranges, but that none of them lie in horizontal planes. Indeed the plane of Figure 2 (b) is a slanted plane through the centers of three faces adjacent to a vertex of the cube of Figure 7 (a). In Figure 8 we represent the packing of four layers as in Figure 2 (b), one above the other. The two lines through centers of spheres are orthogonal. Figure 8: Four layers of spheres of the type of Figure 2 (b), one above the other and two orthogonal lines of centers. 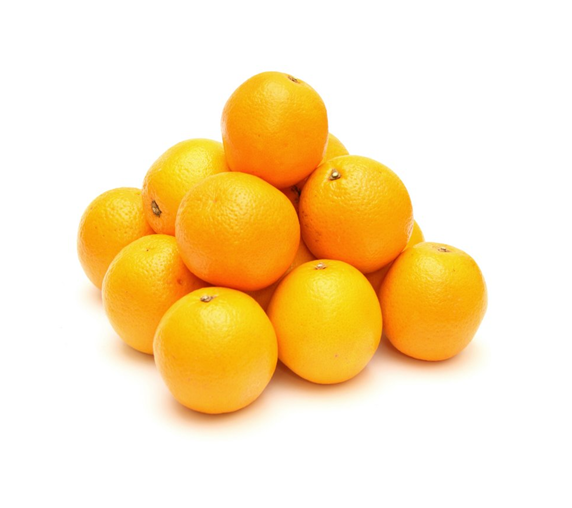 If you pack carefully your oranges in large boxes using the face-centered cubic lattice pattern described above, then you get the density But, if you are in a hurry and you just throw them quickly in the box, what density do you get? This is what is called random packing. Of course, the density is not always the same. Indeed, if you shake your box, you will likely increase the density. But up to what point? Experiments show that the density varies from around (random loose packing) to a maximum of (random close packing). The derivation of this maximum limit was the subject of a letter in Nature in 2008 by Song, Wang and Maske . 4.3. Packing other objects than spheres. It is possible to obtain a higher density than if we change the shape of the identical objects from spheres to, for instance, ellipsoids. The paper  shows that the density of random close packings of spheroids with an aspect ratio like M & M candies can approach to and that the density for ellipsoids with some other aspect ratios can even approach . The random packing densities are important for industry when the packing of identical objects (for instance candies or pharmaceutical pills) is automatized. In particular, the density can change during the transportation. 4.4. A word on higher dimensions. In higher dimensions, the densest regular packings of hyperspheres are known up to dimension , and very little is known of the non regular packings. One application of packing of spheres in higher dimension is to produce error-correcting codes. The principle of an error-correcting code is to encode letters or words by sequences of symbols, called code words, that differ one from the other by at least symbols. Then, if less than errors occur in the transmission of a code word, there exists at most one code word at a distance less than from the received word and correction is possible. In the error-correcting codes using packing of spheres we transform letters of the code into the tuples of coordinates of centers of non overlapping spheres. If the spheres have radius , then it is possible to correct less than errors. It is your turn to ask them. As you have seen, there are many simple questions with important applications and whose sophisticated answers are published in some of the most important scientific journals, like Nature, Science and Annals of Mathematics. 5. The validity of computer-assisted proofs. The proof that the densest packing of disks in the 2-dimensional case is shows that it is possible to give rigorous proofs of results where there are an infinite number of cases to analyze. It is a proof that any of you can check. But who can check the proof that ? It is an enormous proof with cases to analyze, and each case is so complex that it needs to be done by computer, for a total of 3 Gigabytes of computer code. Of course, the code is public. But, it took several years to the authors to produce it. So who has both the time and the skills to go through all details? For sure, there are strategies to minimize errors and Hales and Solomon have used several of these. For instance, the two authors wrote the program independently in parallel. The program could be run on different computers with different processors and compilers. The subroutines could use old software packages that have been tested for years, etc. The first celebrated theorem whose proof was a computer assisted proof is the four color theorem which states that four colors suffice to color any map so that no two adjacent regions have the same color. It was proved in 1976 by Kenneth Appel and Wolfgang Haken. At the time, Annals of Mathematics would not have accepted to publish a computer assisted proof. Times have changed and the computer has revolutionized the practice of mathematics. A. Donev, I. Cisse, D. Sachs, E. Variano, F. H. Stillinger, R. Connelly, S. Tarquato and P.M. Chikin, Improving the density of jammed disordered packings using ellipsoids, Science, 303 (2004), 990–993. T. Hales, Cannonballs and honeycombs, Notices of the American Mathematical Society, 47 (2000), 440–449. C. Song, P. Wang and H.A. Maske, A phase diagram for jammed matter, Nature, 453 (2008), 629–-632. G.C. Szpiro, Kepler’s conjecture, John Wiley & Sons, Inc., 2003. Sul piano le possibili disposizioni sono essenzialmente due ,perché la disposizione esagonale è riducibile a quella triangolare ,poiché non varia l’angolo secondo cui si dispongono sul piano i cerchi. Nel piano abbiamo i cerchi si dispongono secondo il seno di 90° o di 60°: cioè in forma quadrata o triangolare. Essendo il valore di sen 60° = 0,866 occorrono almeno 8 fila cerchi disposti in modo triangolare per risultare più conveniente della forma quadrata. Nello spazio le disposizioni delle sfere rimangono le stesse :la forma quadrata dipende dal sen 45° = o,707 la forma triangolare dipende dal cos 36° = 0.809. I valori indicano quale sia più conveniente e la disposizione quadrata risulta più stabile. assumeranno una disposizione orientata , uniforme solo in una direzione. La migliore in assoluto quindi non è la disposizione esagonale. impone di stabilire dei vincoli entro cui muoversi: vincoli che possono essere ,il contenimento o la libertà e l’uniformità dell’oggetto.